Introducing Fanspeak Events for Sports Fans!! We’ll be hosting Gamewatch Parties, Sports Trivia Nights & MORE! Why Fanspeak.com Events? Well, we all share a common interest…we’re diehard sports fans, so we might as well party together! 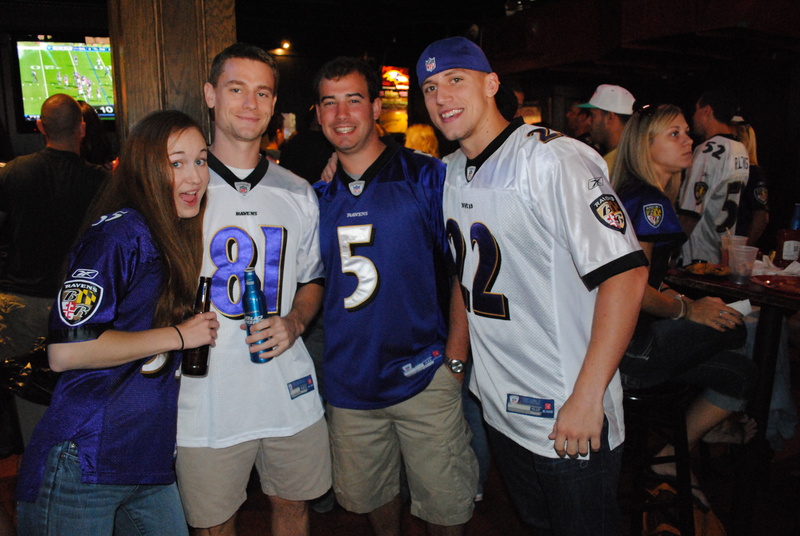 What else do you enjoy at Fanspeak events, besides great company? ALL EVENTS ARE FREE TO ATTEND! See the schedule below and feel free to suggest more events to megan@fanspeak.com! See you soon at the Fanspeak Events!! WHO: All Sports Fans Welcome! Sports Trivia Nights will include Pop Culture trivia and will be fun for all levels of expertise! Just say Fanspeak at the door for wristband to check-in! WHEN: Winter Season begins Monday, Nov. 12!! Monday, November 12 @ 7 p.m.
Monday, November 19 @ 7 p.m.
Monday, November 26 @ 7 p.m.
Monday, December 3 @ 7 p.m.
Monday, December 10 @ 7 p.m.
Monday, December 17 @ 7 p.m. PERKS: Winner Each Trivia Night wins Plug Ugly’s Giftcard! Grand Prize for Cumulative Winner after 6 weeks (includes $100 TicketNetwork giftcard for game tickets, prize pack and TROPHY)! Remember Trivia Nights are always more fun with a team! You can have a team up to 6 people! Or use these events as a way to meet new people! WANT a FREE Answer every week! Go to https://fanspeak.com/trivia/ for your free answer each week! 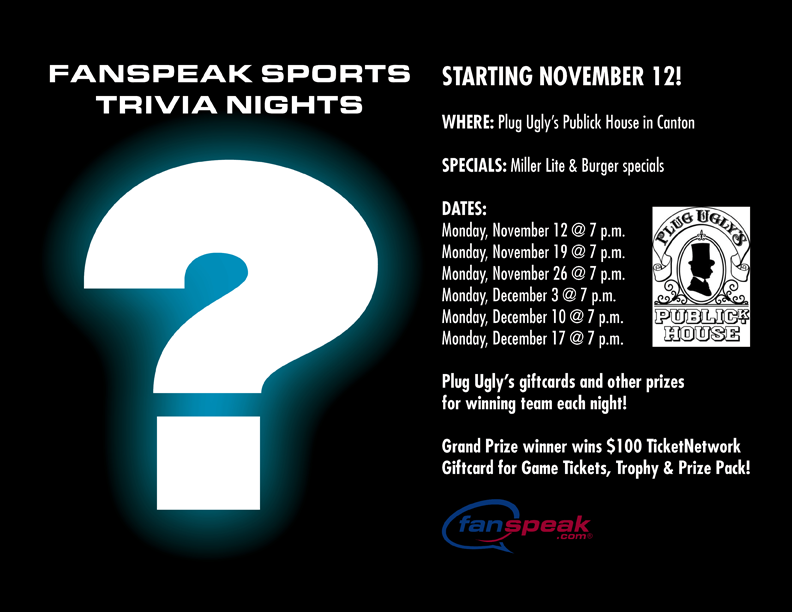 Any questions about SPORTS Trivia Nights, email megan@fanspeak.com.